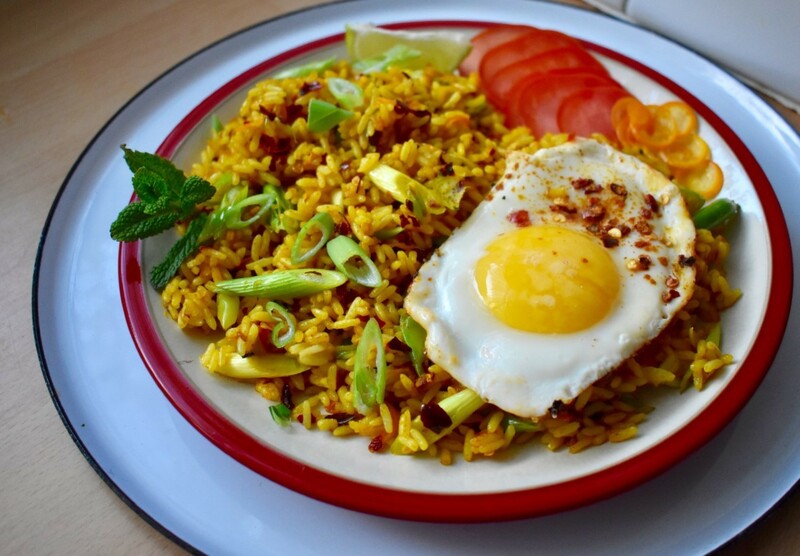 Nasi Goreng is arguably the popular Indonesian fried rice which is traditionally served with a fried egg. The dark brown colour from the sauce distinguishes it from other popular Asian fried rice dishes. It’s simple to make and you won’t need to hunt down any unusual ingredients. Heat 1 tbsp of coconut oil in a wok (or skillet) over a high heat. Add your garlic and chilli and cook until fragrant, then add your spring onions. Cook spring onions until translucent. 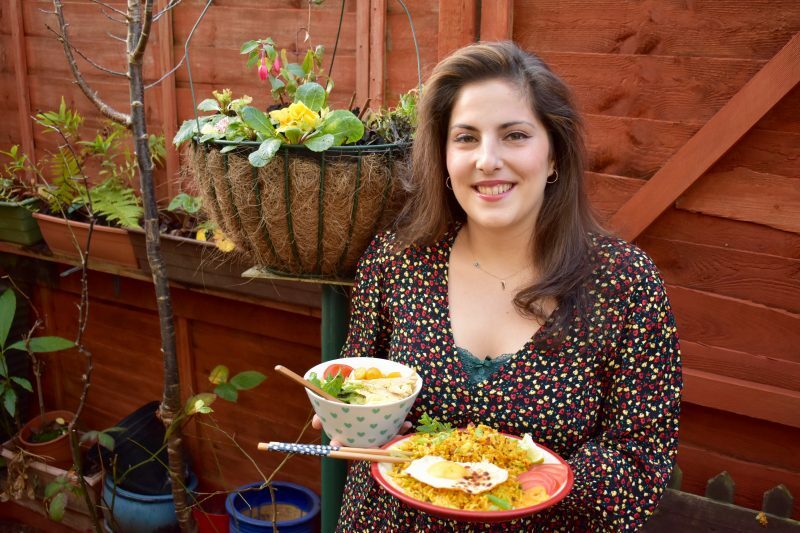 Add your cooked rice to the wok and add your tamari, maple syrup and ground turmeric and reheat the rice, breaking it up, until the rice is heated through and sauce has been evenly dispersed and stains the rice brown and golden yellow. Transfer your rice to a serving platter. Serve your fragrant rice with a fried egg on top with the sliced tomatoes, mint and lime wedges on the side.